He National Dissemination Center Musical in co-production with Teatro de la Zarzuela will present next Monday 12 of November, To the bass Franz-Josef Selig on his second visit to Lied. Selig comes accompanied by Gerold Huber the piano to provide program consists of ballads Carl Loewe, Hugo Wolf and Rudi Stephan. tickets, with a general price 8 a 35 euros, They are on sale at the box office of Teatro de La Zarzuela, INAEM theaters, www.entradasinaem.es Y 902 22 49 49. Franz-Josef Selig It has established itself on the international scene as one of the best known low. Usually sings the role of Gurnemanz, King Marke, Sarastro, Rocco, Osmin, Daland, Fiesco and Fasolt in major opera houses of the world as the Vienna State Opera, the Bavarian State Opera, the Scala Theater in Milan, the Teatro Real in Madrid, Parisian opera or the Metropolitan Opera in New York, and at prestigious festivals such as: Bayreuth, the Salzburg Festival and the Festival d'Aix-en-Provence. Operatic productions and its concert activity led him to collaborate with orchestras and conductors as James Levine, Christian Thielemann, Sir Simon Rattle, Marek Janowski, Semyon Bychkov, Riccardo Muti, Yannick NezétSéguin, Antonio Pappano, Phillipe Jordan, Zubin Mehta, among others. In addition to his many operatic engagements and concert performances, He devotes a large part of his time to Lieder recitals. 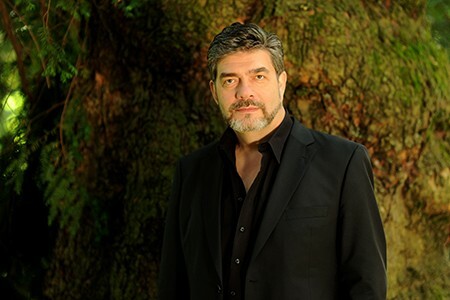 He has recently sung solo pianist Gerold Huber next to Katowice, Cologne and Frankfurt, Markus Schäfer and with, Christian Elsner, Michael Volle in concert Liedertafel (Gerold Huber also accompanied by piano) one Stuttgart, Schaffhausen y Madrid. Selig studied sacred music at the Staatliche Hochschule für Musik in Cologne before you start taking singing classes with Claudio Nicolai. Early in his career he was a member of the Aalto Theater in Essen. Since then he has been an independent singer. During last season 2017-2018 He has excelled in the following operatic roles: King Arkel (Pelléas et Mélisande) in Bochum and Paris, Seneca in a new production of The Coronation of Poppea Monteverdi at the Berlin State Opera, Daland (The flying dutchman) State Opera in Munich, Gurnemanz (Parsifal) with the Berlin Philharmonic under the direction of Sir Simon Rattle and Sarastro (The Magic Flute) with the Chamber Orchestra of Europe and Yannick Nézet-Séguin in Baden Baden Festival. In concertístico Franz-Josef Selig field has sung Missa Solemnis Beethoven with Thielemann and Rattle and opera Parsifal, concert version, at the Berlin Philharmonic. His numerous recordings on CD and DVD ranging from St. Matthew Passion Bach to The Magic Flute Mozart (The Royal Opera, London / Sir Colin Davis) going by Don Giovanni (Vienna State Opera / Riccardo Muti), The Marriage of Figaro (Salzburg Festival / Nikolaus Harnoncourt), Y The abduction from the Seraglio (Gran Teatre del Liceu / Ivor Bolton / Christoph Loy), as well as The Coronation of Poppea (Gran Teatre del Liceu / David Alden / Harry Bicket). He has recorded the role of Gurnemanz in the opera Parsifal (Wagner) under the baton of Christian Thielemann (Vienna State Opera / German Grammophon) and Marek Janowski and the Radio Symphony Orchestra Berlin (Pentatone). The DVD The Ring of the Nibelung (DG, Metropolitan Opera in New York, 2010) where Selig sang the role of Fasolt, He received a 'Grammy' in 2013. This year the DVD launched The Flying Dutchman Bayreuth Festival (Thielemann / Gloger). June 2014 It came to light his first CD of lieder accompanied on piano by Gerold Huber. Under the title Prometheus (AVI) features songs by Schubert, Wolf y Strauss. In July 2015 Deutsche Grammophon released a new recording The abduction from the Seraglio Mozart (Festival production Baden-Baden, 2014).